CableCalc BS7671 is a cable evaluation application fully compliant with BS7671:2018 Requirements for Electrical Installations IEE Wiring Regulations 18th Edition based on IEC/CENELEC Standards. Following on from the success of previous releases of CableCalc BS7671 over the past 20 years, CableCalc BS7671 provides an intuitive user interface with a host of exciting features. CableCalc BS7671 will calculate and check for voltage drop, disconnection time, fault current, earth fault data, overload and short circuit data in five easy steps producing detailed print-outs for each calculation. CableCalc BS7671 is available to purchase in four levels, depending on your needs. All Levels of CableCalc BS7671 will perform both single and three-phase calculations. 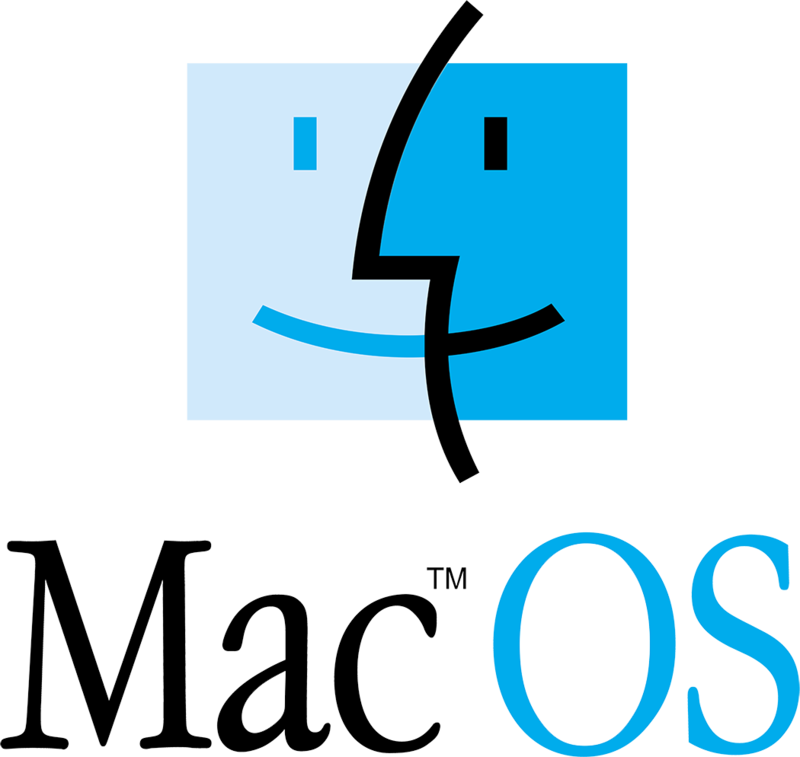 The phase colours default as Brown Black and Grey with Blue for Neutral, but may be customised to any set of colours. For the electrician or engineer who requires quick calculations to the requirements of BS7671. 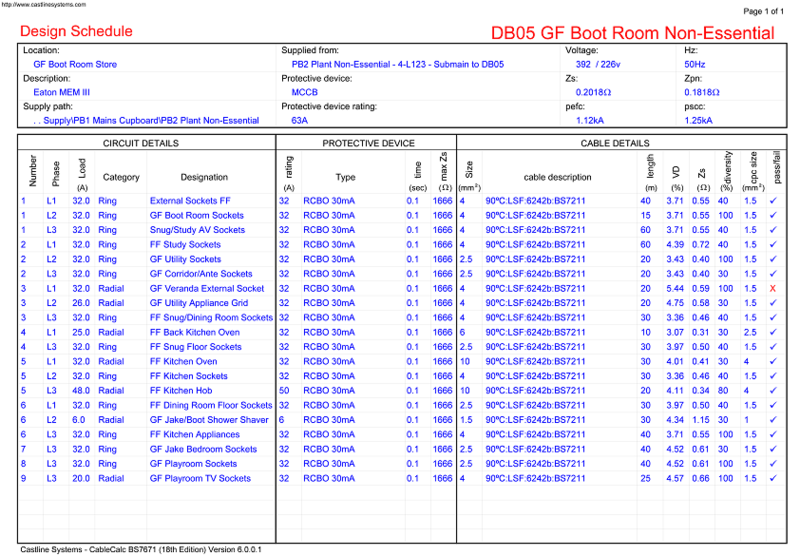 Create detailed design schedules which can be easily printed on to paper. CableCalc Level 1 will calculate single and three phase calculations for radial and ring main circuits with the results output to a detailed calculation printout. 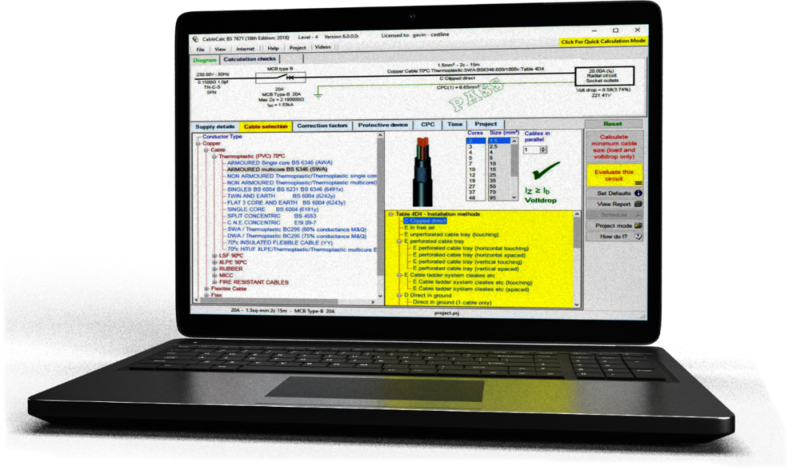 For the contractor or engineer who requires detailed calculation results and schedules which can be printed or exported as Adobe PDF files for electronic distribution. This version supports up to five distribution boards and includes all the features found in Level 1. Discrimination checks may be performed which will highlight any anomalies instantly. The lighting calculation facility is especially useful for calculations involving cables ‘daisy chained’ or looped together, as in street lighting installations or sub main distribution. Create detailed design schedules that may be in the Adobe PDF format (Portable Document Format) which can be easily Saved to disk, Printed on to paper or emailed straight to your clients. For the designer or consultant who requires high quality designs and schedules. This version includes all of the features of levels 1 & 2, and in addition will produce up to 20 distribution boards and includes manufacturer-specific protective device data and single line project layout diagrams. CableCalc BS7671 - Level 3 is a software design tool for producing detailed diagrams, schedules, schematic drawings for a complete cable installation. 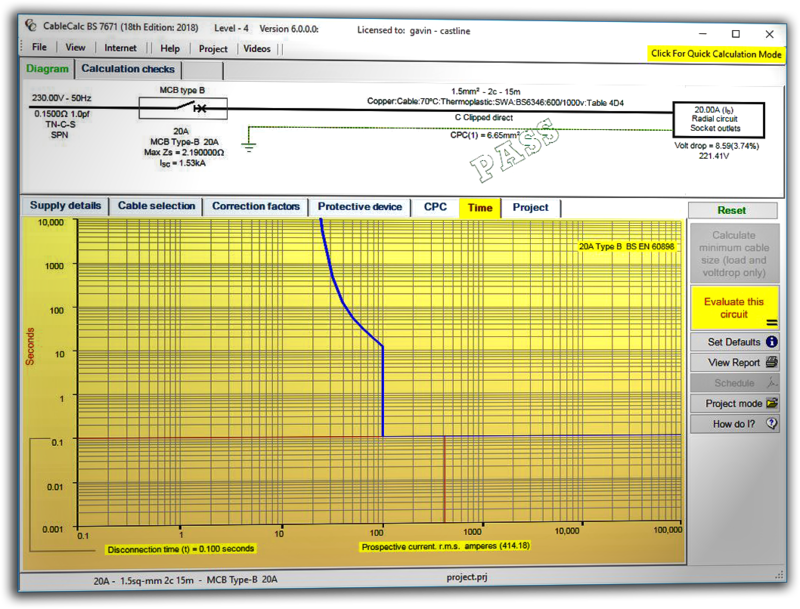 CableCalc BS7671 - Level 3 is a very efficient design tool which will calculate all of the sub-circuits and feeder cables for multiple distribution board projects at the click of a button. CableCalc BS7671 - Level 3 can produce high quality detailed schematic diagrams in the Adobe PDF format (Portable Document Format) which can be easily saved to disk, printed on to paper or emailed straight to your clients. CableCalc BS7671 - Level 4 is a software design tool for producing detailed diagrams, schedules, schematic drawings for a complete cable installation. CableCalc BS7671 - Level 4 is a very efficient design tool, allowing an unlimited number of distribution boards to be used in any project. CableCalc BS7671 - Level 4 will calculate all of the sub-circuits and feeder cables for multiple distribution board projects at the click of a button. Level 4 can produce high quality detailed distribution board diagrams in the Adobe PDF format (Portable Document Format) which can be easily saved to disk, printed on to paper or emailed straight to your clients. 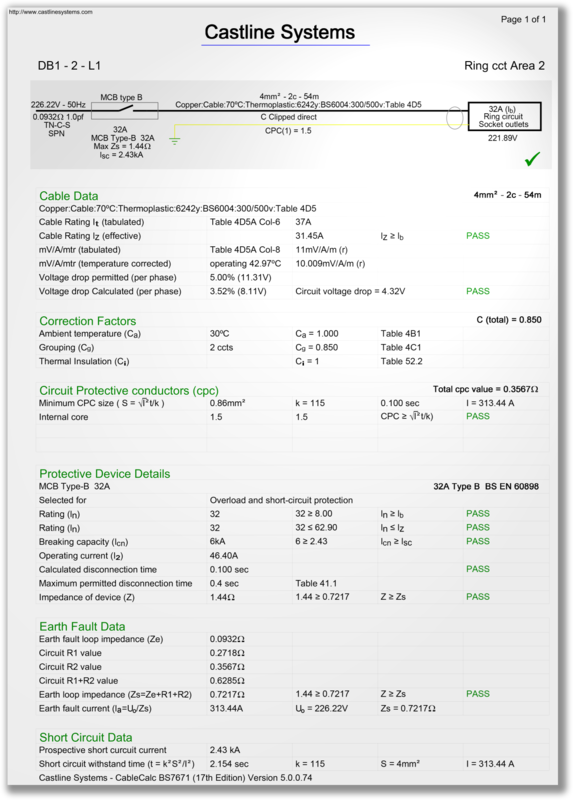 CableCalc BS7671 for iPad is an app that includes nearly all of the features of CableCalc BS7671 Level 1, meaning that you can carry out single and three phase cable calculations on-site using an iPad. Calculate and check for voltage drop, disconnection time, fault current, earth fault data, overload and short circuit data and will produce a detailed print-out for each calculation in PDF format which can be printed to an AirPort compatible printer or emailed. Perform both single and three-phase calculations for radial, ring and sub main circuits. 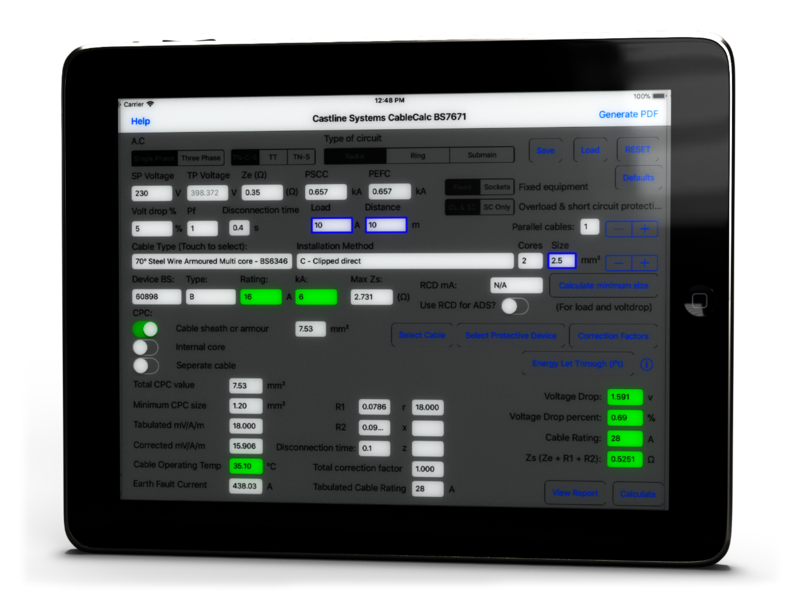 CableCalc for iPad includes a full database of copper cables and generic protective devices and allows you to complete all information relevant to the calculation including any applicable correction factors for temperature, grouping etc. Energy let through values can be entered and calculations can be saved to load back in later.